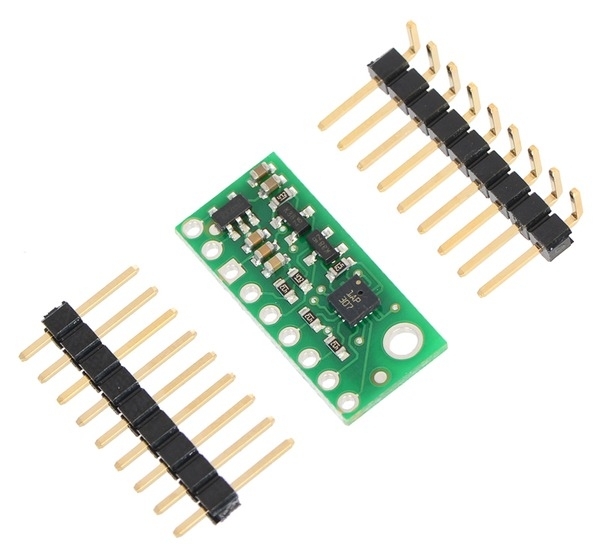 For sensor fusion applications, AltIMU-10 inertial measurement unit combines the LPS331AP with an L3GD20 3-axis gyro and an LSM303DLHC 3-axis accelerometer and 3-axis magnetometer on a single board, providing ten independent readings that can be used to calculate an absolute orientation and altitude. 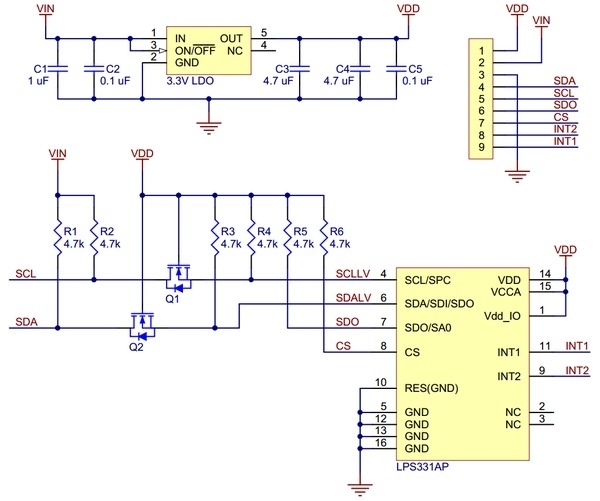 A minimum of two logic connections are necessary to use the LPS331 in I²C mode (this is the default mode): SCL and SDA. These should be connected to an I²C bus operating at the same logic level as VIN. with voltage regulator, labeled top view. with voltage regulator in a breadboard. 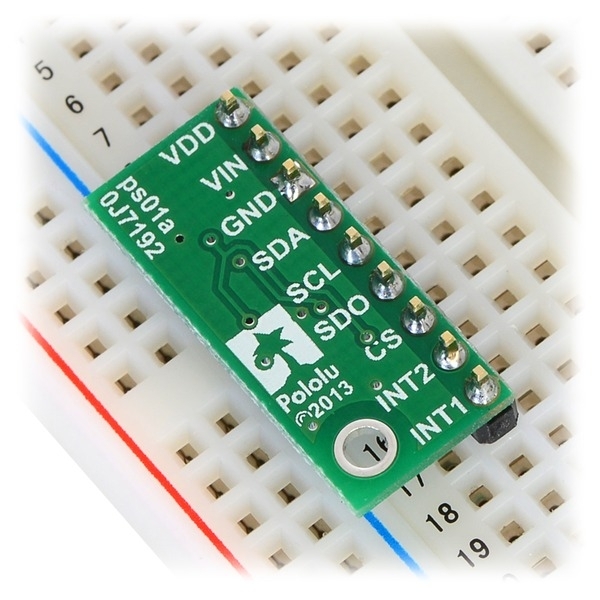 With the CS pin in its default state (pulled up to VDD), the LPS331AP can be configured and its pressure reading can be queried through the I²C bus. 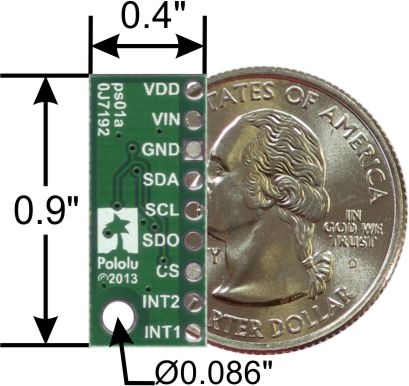 Level shifters on the I²C clock (SCL) and data (SDA) lines enable I²C communication with microcontrollers operating at the same voltage as VIN (2.5 V to 5.5 V). 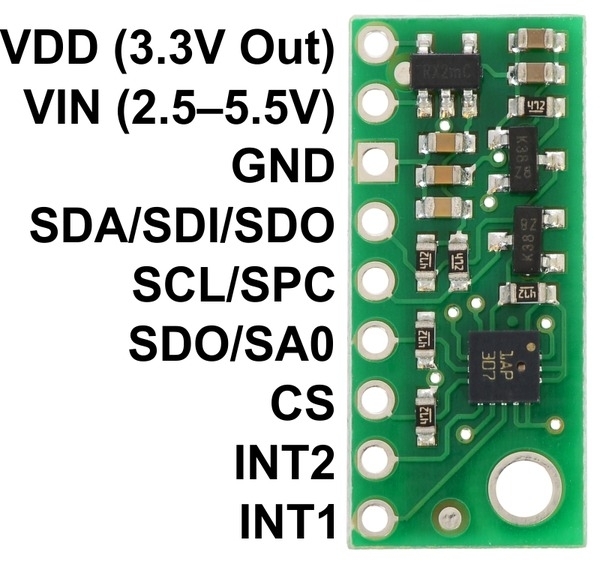 A detailed explanation of the I²C interface on the LPS331 can be found in its datasheet (453k pdf), and more detailed information about I²C in general can be found in NXP’s I²C-bus specification (371k pdf). In the default 4-wire mode, the gyro transmits data to the SPI master on a dedicated data out (SDO) line that is not level-shifted. 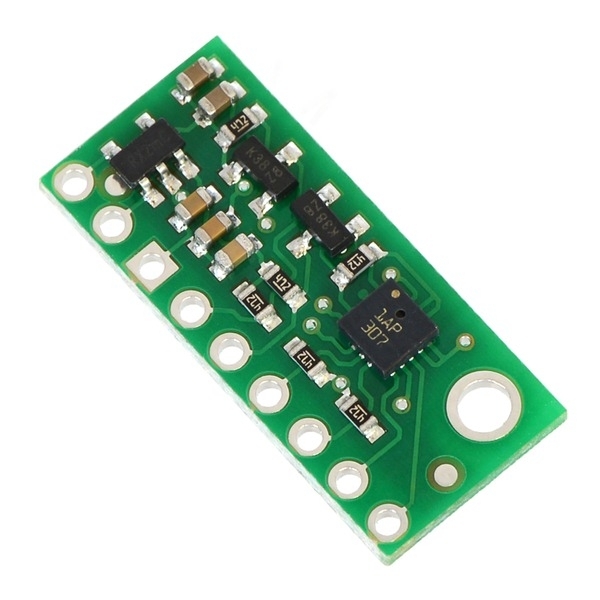 If the SPI interface is configured to use 3-wire mode instead, the SDI line doubles as SDO and is driven by the LPS331 when it transmits data to the master. A detailed explanation of the SPI interface on the LPS331 can be found in its datasheet (453k pdf).